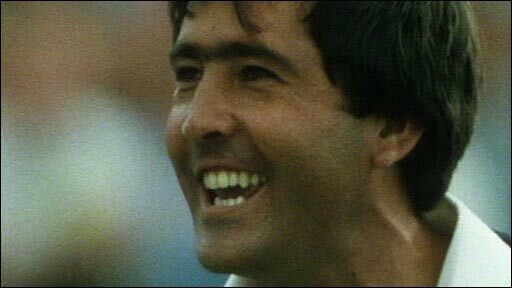 Golf legend Seve Ballesteros has been diagnosed with a brain tumour and will undergo a biopsy on Tuesday. The Spaniard was admitted to Madrid's La Paz hospital on 6 October after briefly losing consciousness. The hospital said on Friday he had left intensive care, having been "admitted because of a partial epileptic fit". But on Sunday, Ballesteros, 51, said: "I inform you that after an exhaustive check that was realised at Hospital La Paz, a brain tumour has been detected." Ballesteros said he will undergo a biopsy on Tuesday and then doctors would decide on a course of treatment. He added: "Throughout my entire career I have been one of the best at overcoming obstacles on the golf course. "And now I want to be the best, facing the most difficult game of my life, using all my strength and also counting on those who have been sending me get-well messages. "Now I've been able to tell my three children personally and their mother, now I can tell you the illness that I am suffering from. After the exhaustive tests that I have undertaken in the Hospital La Paz they have detected a brain tumour. "I have always sympathised with those people who face illnesses. "Therefore, I want to remind them that with bravery, faith, serenity, confidence and a lot of mental strength, we have to face any situation no matter how difficult it is." Ballesteros asked for his family's privacy to be respected while promising to keep people regularly informed of his condition. "Now my wish is to ask for respect for my family and especially for my children. We will keep you informed," he continued. "I want to thank from the bottom of my heart all those people who have shown affection and interest in my state of health, with all kinds of support. Many thanks." Fellow Spanish golfers Jose Maria Olazabal and Miguel Angel Jimenez responded to Sunday's announcement by wishing Ballesteros a speedy recovery. Olazabal, who visited Ballesteros in hospital, said he was "confident" he would recover, adding: "While I'm rightly worried, I thought Seve seemed very well. We were talking for a good while. I wish him a speedy recovery." Jimenez added: "Seve, we love you. We all hope you recover as soon as possible and we're waiting for you." Ballesteros, a five-time major winner who suffered from an arthritic back and knee problems late in his career, retired in 2007. He won 87 titles during his career, including the Open in 1979, 1984 and 1988 and the Masters in 1980 and 1983. He also played an inspirational role in the Ryder Cup, winning 20 points from 37 matches, as well as captaining Europe to victory at the Spanish course of Valderrama in 1997. Ballesteros had moved to reassure fans on Thursday by telling his official website: "I wish to inform that I am feeling very well. "I am awaiting the results of the tests that I have been going through. I wish to personally thank all of those who are concerned about my health condition. "I want you to know they make me feel very good and I feel greatly supported by all of you."